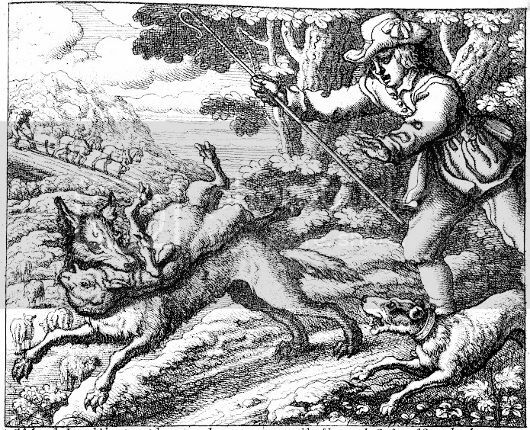 Aesop’s Fable of the boy who cried wolf is well known, but less known is a story from Chinese history which parallels this. It happened during the reign of King You of the Zhou dynasty in the 8th century BCE. He had a concubine named Bao Si whom he loved more than the queen. The queen and her son were demoted and Bao Si and her son took the place. Everything looked good, except for one thing: Bao Si would not smile. This “no-laughing-matter” bothered the king and he pondered over various solutions. The Zhou dynasty was established in the 11th century BCE and ruled by what is known as the Mandate of Heaven. According to this theory, the heaven would react based on the character of the king. If the king had bad character and did not govern properly, the heaven would send messages to correct him. The king had to govern with fairness and provide justice. In other words, he had to govern based on dharma. Confucius would be born into during the reign of this dynasty, but centuries later. Then one day the real wolf showed up: the steppe people attacked and the beacons were lit again. This time the vassals ignored the king’s summons. The steppe people took over the capital in the Wei valley, killed the king and captured Bao Si. That was the end of the Western Zhou. Is there any truth to this story? What is known is that the Western Zhou was attacked and the king was killed at this point. Regarding Bao Si, it loos like the story was made up by Chinese historians to either drum up the point that kings (or CIA directors) should not fall under the spell of women or to illustrate how a woman could cause the fall of a dynasty. Tanner, Harold Miles. China: A History. Hackett Publishing, 2009. Feng, Li. Landscape and Power in Early China: The Crisis and Fall of the Western Zhou 1045-771 BC. Cambridge University Press, 2006.